After weeks of teasing, Destiny 2 update 2.2.1 has finally arrived carrying an exciting medley of quality of life updates, subclass changes, sandbox tweaks, and more. Here's a full rundown of the latest Destiny 2 patch notes. Frontal Assault: now increases all weapon damage (25% in PvE and 20% in PvP). Duration increased from ten seconds to 16. Knockout: melee damage bonus increased from 25% to 60%. This will now trigger once you deal 60% damage to a target and refresh on further damage. Buff duration increased from three seconds to five, and you won't lose the buff after one melee. Combination Blow: bonus melee damage can now be stacked three times. Each stack gives 60% bonus melee damage in PvE and 22.7% bonus melee damage in PvP (up from one stack of 50%). Combination Blow kills will now instantly heal for 40 and start health regen. Deadly Reach: no longer consumed by one melee hit. Buff duration increased from six seconds to eight. Disorienting Blow: disorient range increased by 50%. Duration increased from 1.5 seconds to 2 in PvP. Focused Breathing: dodge ability recharge bonus while sprinting increased by 100%. Combat Meditation: grenade and melee recharge bonus granted while at low health increased by 25%. Lightning Reflexes: damage resistance while dodging increased from 25% to 40% in PvP, and from 63% to 70% in PvE. Chain Lightning: this melee can now chain up to five times and hit each target twice. Chain damage increased from 31 to 50. Arc Web: grenades can now chain to "many (many)" more targets and hit each target multiple times. Chain range increased from 10 meters to 12. Chaining damage now reduces grenade cooldown: 3% per chain in PvE, 10% per chain in PvP. Electrostatic Surge: rift recharge rate will increased by 600% per nearby ally. Increases rift duration from 15 to 20 seconds. Arc Souls: Arc Buddies last 50% longer. 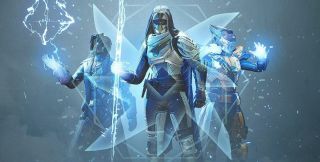 Arc Week is the first event of its kind, and Bungie says it will heavily feature the Arc Singe modifier - which boosts arc damage - and introduce new Arc Bounties which complement these new abilities. Here's hoping we see a Solar Week and Void Week in the not-so-distant future - perhaps in the Penumbra DLC? Now scales up to 150% damage over five seconds of continuous use. Reduced detonation charge energy cost by 20% and reduced cost of holding charge by 7%. Reduced time to fully charge detonation from 0.9 seconds to 0.7 seconds. Reduced teleport cost by 20%. Increased duration from 18 seconds to 22 seconds. Nova Warp was obscenely overpowered in PvP when it was released, but even Bungie admits that the nerf it received "swung a bit hard." Hopefully these changes will make the Super relevant again without pushing out other Warlock Supers. Everlasting Fire: regained Super energy will decrease over the course of 30 kills, preventing infinite Supers. Bungie says this Super is "out of bounds" and will receive "a few tweaks to bring it back in line." No changes in update 2.2.1, but it will be nerfed in the future. And let me tell you, the future can't come soon enough. On top of new Exotic catalysts, if you missed the Exotic machine gun Thunderlord when it was originally available, you'll get another chance to obtain it from April 9 - 23 via the Cosmodrome quest. You can find more information in our Destiny 2 Thunderlord guide. Speaking of Exotic changes: Xur will now sell Exotics with random rolls rather than fixed rolls. This is pretty dang exciting because it means that even if you own an Exotic Xur is selling, you can still purchase it again to try for a better roll. What's more, Xur's Fated Engrams may now reward Forsaken Exotics. And as an added bonus, the Destiny 2 Invitation of the Nine completion window has been extended to Thursday rather than Tuesday. So if you buy an Invitation on Saturday, you have until the next Thursday to complete it and quality for next week's Invitation. Most of the Gambit Prime changes in update 2.2.1 have to do with rewards. For starters, Gambit Prime weapons now have a chance at dropping at the end of a match, and the drop rates on the weapons in both Gambit Prime and The Reckoning (tiers two and three) were increased. Additionally, weapon drops in both activities will feature a mercy rule. This will increase your chances of getting a weapon every time you get nothing, eventually guaranteeing that you get a drop. The "Yes Sir, I'm a Closer" weekly Gambit Prime bounty has been changed as well. Wins in Gambit Prime will now award four points instead of three, and losses will add two points instead of subtracting them. This will make it easier to earn the 20 points required for the bounty. Additionally, the weekly role bounties for Gambit Prime will now award powerful helmets for their role. Invasion kills will heal 8% Primeval health instead of 12%. Invasion portal cooldown during Primeval phased increased from 30 seconds to 40 seconds. This cooldown will start when the Invader leaves. Gambit Prime matches will now count toward the weekly Gambit clan engram. In the same vein, the update will expand Black Armory vendor Ada-1's inventory so that the Forge bounties for all of the Black Armory weapons are available every week. Due to limited weekly bounties, you'll still only be able to grind two weapons per week per character, but at least you'll get to choose what weapons you want to go for. Finally, Bungie says it will start watching the weekly Nightfall assortment to prevent "streaks where specific Nightfalls appear multiple weeks in a row or don’t appear at all for months." This should make it easier to grind Nightfall-specific drops, and it will ease the grind on a few other triumphs. For the past months - but especially the last few weeks - Destiny 2 players have expressed mounting concern for the state of the Crucible. Quite frankly, it's barely been touched over the past few months, and the few new ideas that Bungie's thrown out have died on the vine. PvP enthusiasts were worried Crucible is being put out to pasture, but Bungie says that's not the case. "There have been a lot of questions about the future of the Crucible in Destiny, and what plans we have to support PvP going forward," said community manager Cozmo. "Yesterday, we let you know during a stream that we have no plans to remove PVP from the Destiny franchise. "A lot of feedback on Crucible and how it could improve comes in the form of suggested sandbox changes that would impact the flow of combat in PvP. As you can see from the section above, we are still committed to updating the sandbox as frequently as we can, and we have an update going out next week. We have bigger Crucible changes being planned for later this year, but we aren’t ready to talk about those plans just yet. We hope to share more with you sometime this summer." So, no massive Crucible changes in update 2.2.1, but Bungie's got some in the pipe.